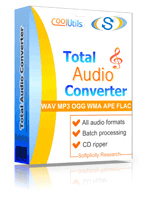 Convert RA to WMA audio files online in a few clicks! Run the RA to WMA Online Converter or get a batch Tool for more! Description RA is native RealAudio format for broadcasting streaming audio and video. It was created by RealNetworks in 1995. RA uses various audio codecs, including low bitrate formats for dial-up connection and high-quality music file types. It can be used as audio stream format for playing tracks while they are loading. A lot of online radio-stations used this format, while now it is pushed out by MP3, WAV and others. RA files can be zipped by a few codecs together for better file size.